Chimney repair is needed when water causes damage to the masonry. Think about it. Masonry deteriorates quickly when exposed to the freeze, and thaw process. 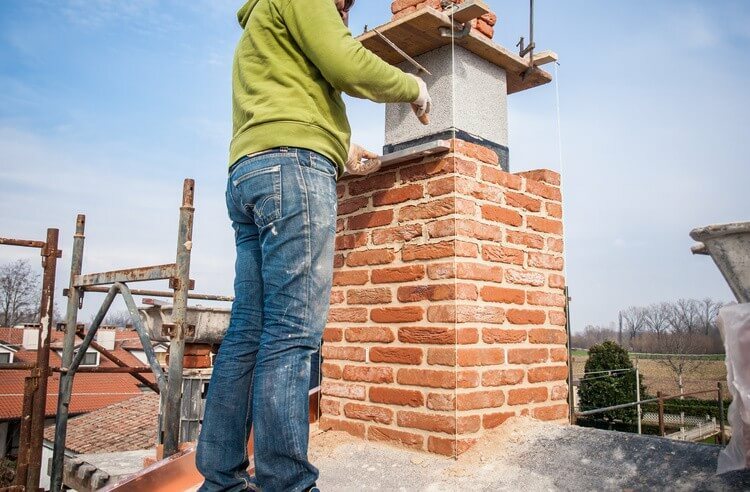 Does your chimney need repair? All chimneys should be thoroughly inspected once a year by a chimney sweep. Never assume your chimney is safe even if you seldom, or never use it. There is a host of problems that could cause an unsafe chimney or fireplace. Homeowners are unaware a chimney is an integral part of a home heating system and requires evaluation and maintenance. The US Consumer Product Safety Commission reports that 23,600 residential fires in the 50 states were related to solid fuel appliances and equipment. An additional connectors serving heating systems burning liquid and other venting systems. Damage and problems are rarely visible to the casual observer. If homeowners understood that chimneys are active home operation systems, which require regular maintenance.